Item Number: 534-1-414 17184 Actual Weight: 6.5 lbs. Excellent cushioning protection. 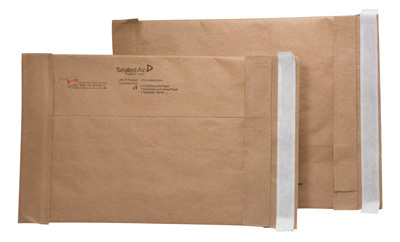 Heavy-duty kraft mailer with interior padding loosens and expands as package is handled. Superior edge protection with double-glued bottom and double-folded corners. Convenient tear tape for opening. Inside dimensions are slightly smaller. Made of 90% recycled/50% post-consumer content. Convenience packs come in dispenser boxes that ship UPS Standard Ground.